To survive and thrive in the urban jungle, one has to have the right tools. In our disposable society, the value of a good tool is often overlooked because most tools are only used by specialists who are never farther than one phone call away. But there are still some tools whose value is so great that everyone should consider carrying them. When reading our list of the best urban EDC gadgets, remember that one small tool is often enough to save the day. There’s an ongoing debate in the EDC community centered on the issue of carrying a knife versus a multitool. The pro-knife people often bring forward the facts that knives are typically much lighter than multitools, are made from better steel, are more affordable, and are more minimalistic. The pro-multitool people point out how much more versatile multitools are, and they also like to remind the pro-knife people that carrying a knife in public isn’t socially and legally accepted in all parts of the country. Of course, there are some individuals who carry both a knife and a multitool, but a much better solution is something like the Leatherman Skeletool, which is a lightweight multitool with a large blade, excellent pliers, a handy screwdriver, and not much more besides that. Without being much larger and heavier than most pocket knives, the Skeletool is tremendously more useful, and it comes with Leatherman’s 25-year limited warranty. Get it here. People who have never carried a flashlight before often wonder what’s the point of carrying one when most smartphones have an LED light built-in. They have a point—modern smartphones work great as flashlights. The problem is that our current smartphone battery technology leaves a lot to be desired. In an emergency situation, the last thing you want is to deplete your smartphone’s battery by using your smartphone as a flashlight because you never know when you’re going to need to dial the emergency number. Instead, you should carry a dedicated flashlight with a long-lasting battery that can also charge your smartphone. The Yoobao L25 is surprisingly inexpensive for what it does. It has a bright LED light with three modes—normal, torch, and SOS—and can charge the latest iPhone to full capacity thanks to its 2,500 mAh battery. 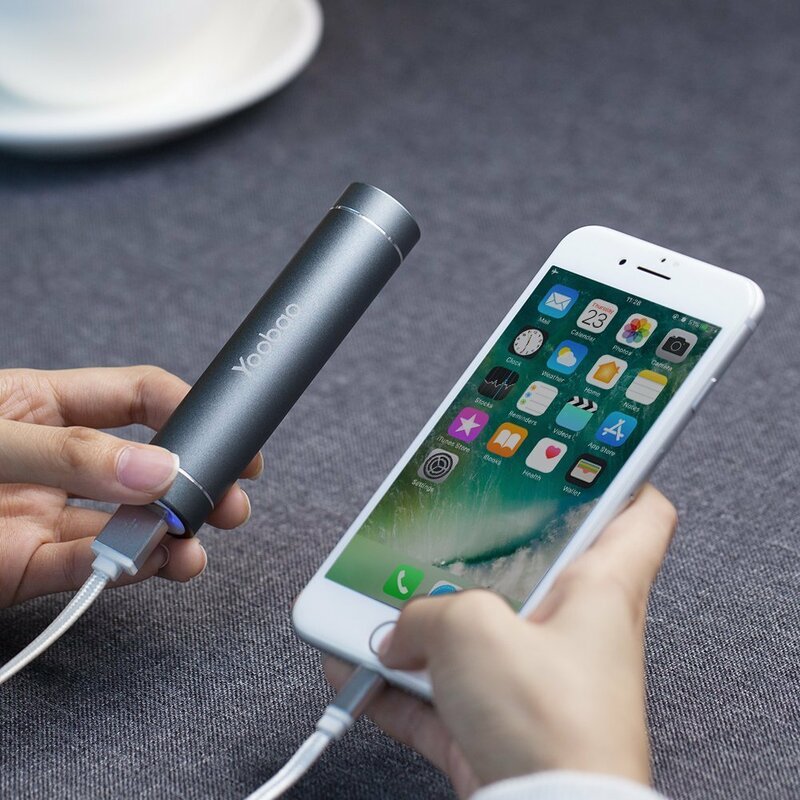 The flashlight contains an intelligent charging circuit that protects your devices against over-charging, over-current, over-voltage, short circuit, and other potential hazards. Get it here. In contrast to the real jungle, the urban jungle is a dirty place full of germs and illnesses that spread through contact transmission. In fact, one UK study has found a total of 121 different types of bacteria from just 80 swabs taken from across the London Underground. “Staphylococcus Aureus (the bacteria responsible for toxic shock syndrome), E.coli, Klebsiella Pneumoniae and Serratia were found. The latter two strains are resistant to antibiotics and known to cause serious blood, chest and urine infections,” reported Wired. Unless you’re willing to wear a hazmat suit, carrying a small bottle of hand sanitizer is the next best option how to protect yourself against germs. We recommend this variety pack of travel-sized bottles of PURELL’s hand sanitizer, which contains ethyl alcohol and promises to kill as many germs with a single squirt as two squirts of any other national brand. Get it here. The urban jungle is a noisy place full of distractions. Sometimes, all you need is to turn down the volume of the world around you and focus on your thoughts or relax with your favorite music. The Apple Airpods have single-handedly redefined on-the-go music listening by perfecting the concept of truly wireless earbuds. Even though the Airpods have been designed with iOS devices in mind, they also work with Android smartphones and tablets over Bluetooth. It’s just that Android users can’t take advantage of the effortless pairing process and Siri integration, which were made possible by Apple’s W1 chip. But the good news is that the Airpods sound great regardless of which mobile device you pair them with, and they last up to 5 hours on a single charge. And when you need more power, you can just put them in their case for 15 minutes, and you’ll get 3 hours of listening time. In total, the charging case holds multiple additional charges for more than 24 hours of listening time. Get it here.